"Buoyed by water, he can fly in any direction? up, down, sideways? by merely flipping his hand. Underwater man becomes an archangel." 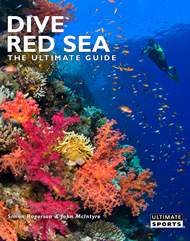 "DIVE Red Sea is surely the 'must have' book to pack into the dive bag of anyone wanting to get the best out of diving the Red Sea. Readers will find a mountain of information and advice. This book represents a unique and rewarding journey." This carefully researched and fully illustrated guide is packed with all the practical travel information needed to plan any great underwater adventure. 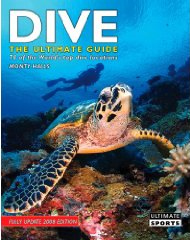 Written by marine biologist and experienced diver Monty Halls and a team of expert writers, DIVE is illustrated with stunning photography, informative maps and graphics and offers first-hand accounts of 70 of the greatest dive locations on earth. 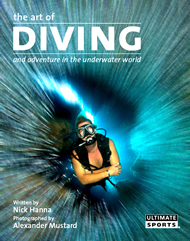 Whether an aspiring beginner, expert diver or somewhere in between, DIVE offers you everything you'd expect of a top quality guide, but with added extras that make it cutting edge. "Come, dive into Nick Hanna and Alexander Mustard?s bright blue world. This is the best book about diving since Jacques Cousteau?s The Silent World. Here turtles bow, flounders court, sharks skulk and, best of all, divers leap, soar and even meditate. This is dynamic underwater imagery at its best". Copyright © 2006 - 2012 Ultimate Sports Media Limited. All Rights Reserved.